MAREEKMIA, SOP, Quivver, Roni Be, Minor Rain and more. 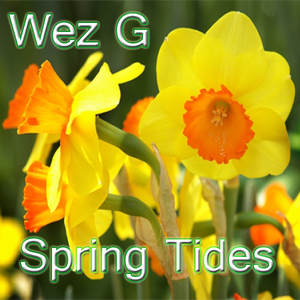 A mix to form part of the Wez G Seasonal Selection, this smooth chillout set flows like the sea across a warming coastline as we leave the winter behind us and embrace the Spring. We&apos;ve had some lovely weather here in South Wales and the lambs are in the fields as indeed are the daffs... Turn on, Tune in and lay back and relax to some subliminal sounds.